Never heard of Doggie Daycare? 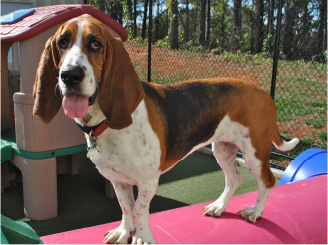 The benefits of allowing your dog to attend doggie daycare are astounding. 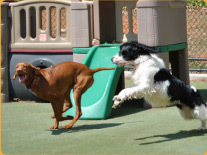 For young dogs it teaches them invaluable social skills that will help them learn how to properly meet and interact with a variety of other dogs. It also helps young puppies with their potty training because we keep them on a very routine potty schedule. 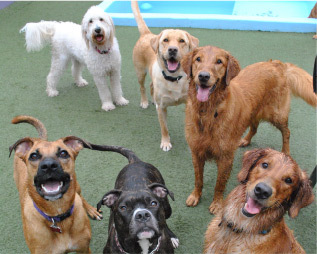 See an extended explanation of dogs in packs and the benefits of daycare..